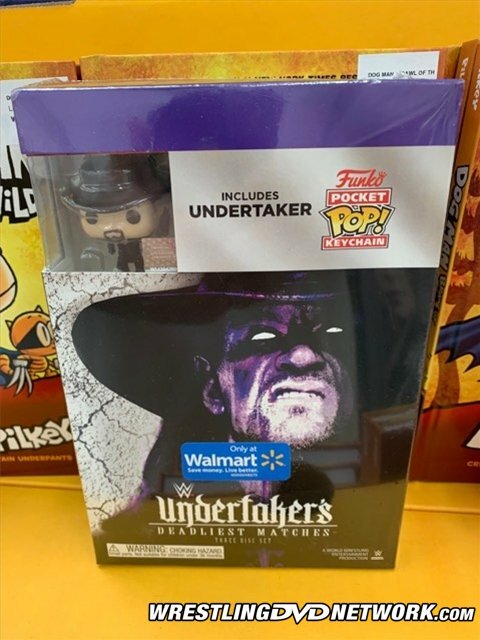 STORE EXCLUSIVES: Heads up, new WWE DVDs that come packaged with Funko Pocket POP! keychain figures are now in circulation! They can be found at Walmart in the United States. Thanks for sharing these great photos, WDN reader Bryan Scullion! 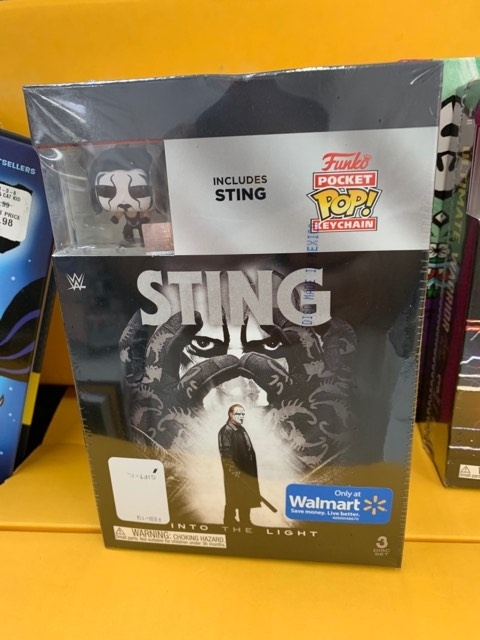 You can grab the “Undertaker’s Deadliest Matches” DVD with a ‘Taker figure or a “Sting: Into The Light” documentary DVD with Sting figure. 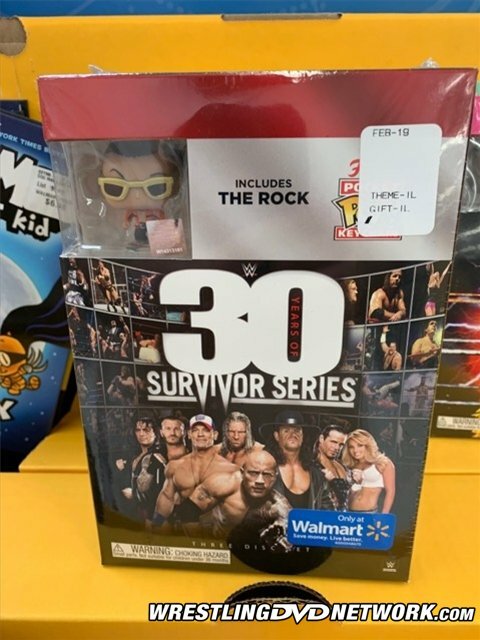 How about the fairly recent “30 Years of Survivor Series” DVD with a figure of The Rock, or the “John Cena: Greatest Rivalries” DVD with a Cena keychain? 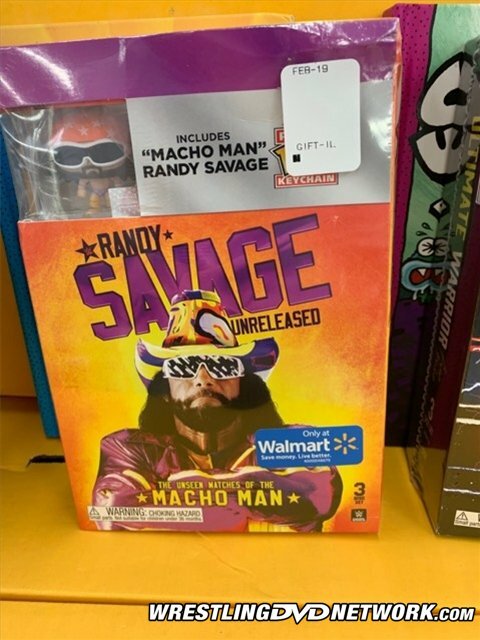 The one to look for might be last year’s “Randy Savage Unreleased” DVD with a Macho Man figure! 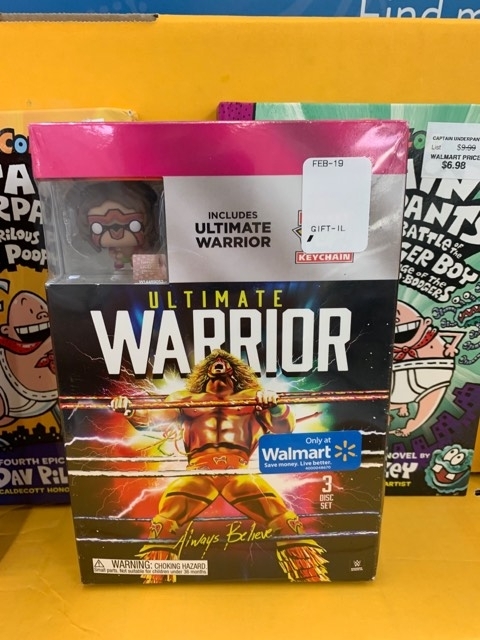 You can also find the “Ultimate Warrior: Always Believe” documentary DVD with a Funko Pocket POP! of the Warrior. Let us know which ones you add to your collection. It’s nearly time for another WWE DVD Tuesday! 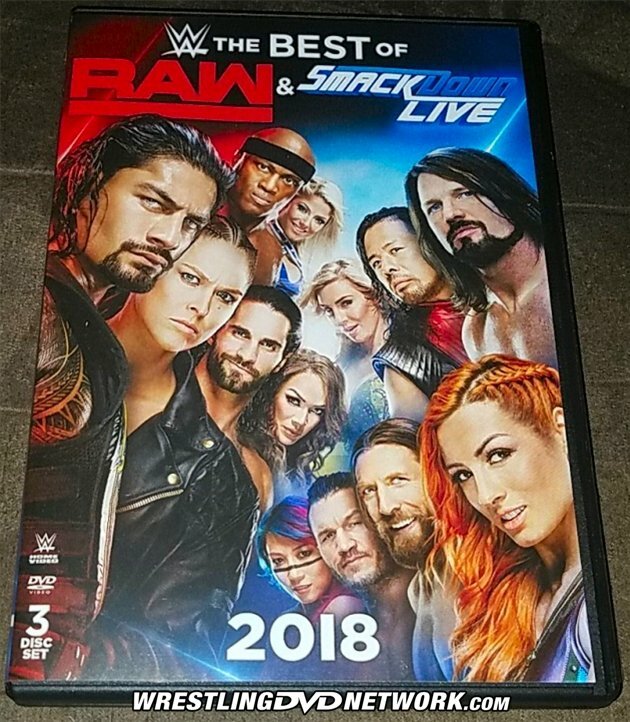 “The Best of RAW & SmackDown Live 2018” officially released on DVD today to fans in the United Kingdom (£23.90; Amazon.co.uk) and will land tomorrow in the United States ($18.99; Amazon.com). Across the 3-disc DVD set you’ll find a whopping 9 hours and 15 minutes worth of content! Let’s get a pre-release look at the U.S. version, with special thanks to WDN reader “JayJayRock2016”. You read that right — this is a 3-disc set, only the second of the new year but possibly the last one in a while given that several new DVDs have been announced for this year as 2-disc sets, so tomorrow’s one may have some historical significance. 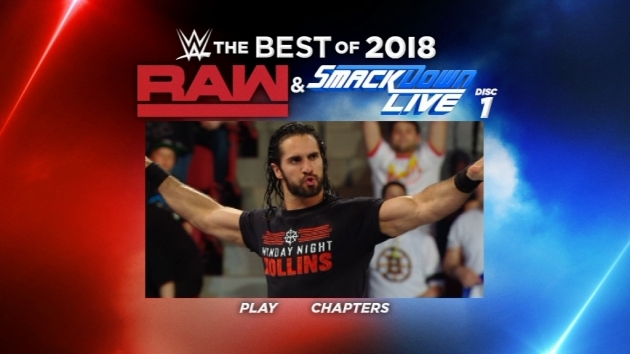 “The Best of RAW & SmackDown Live 2018” ditches the fluff of host segments and video packages to instead squeeze in over 9 hours of content (more than 30 different bouts!) and including memorable moments the likes of Daniel Bryan’s announcement he would wrestle again, Dean Ambrose turning on Seth Rollins, Trish Stratus and Lita tagging together once again, Ronda Rousey’s first match on RAW, Daniel Bryan’s heel turn on AJ Styles to win the WWE Championship, and loads more! As you’ll see in the photos that follow the domestic Region 1 release comes packaged in the now-standard slimline case. And this time there is a paper insert present inside the packaging which is double-sided and lists the full content of the three discs. 2018 was a wild year that saw the Superstars of RAW and SmackDown Live break new ground. Rivalries began, new faces emerged, champions were crowned, and the WWE Universe witnessed matches that will be talked about for the rest of time. Relive the RAW debut of Ronda Rousey, the return of Daniel Bryan, the dissolution of The Shield, and many more unforgettable moments. So sit back and experience one of the greatest years in WWE history with The Best of RAW and SmackDown Live 2018. – UK/Europe: RIGHT NOW! 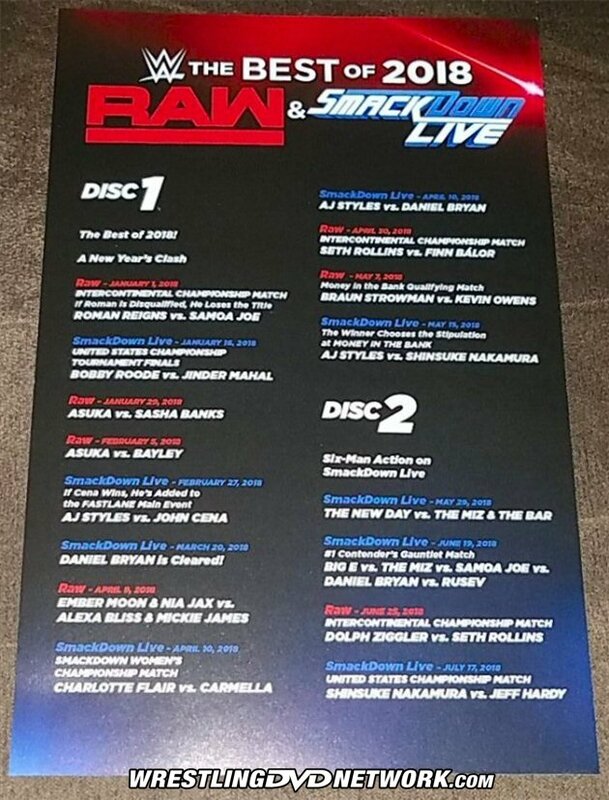 Get your RAW/SD 2018 DVD now on Amazon.co.uk. – United States: TOMORROW! 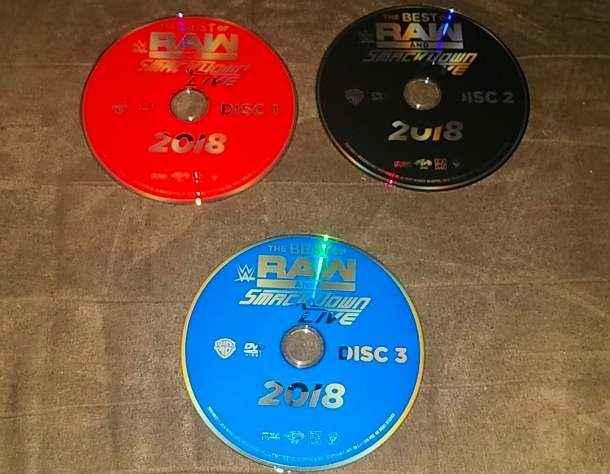 Get your RAW/SD 2018 DVD now here on Amazon.com. – Australia: March 20th. Pre-order your RAW/SD 2018 DVD now via Madman.com.au. I know this is lame and off-topic, but I just have to boast and I literally have no-one else in my life who would appreciate or be impressed by this, but I just found the TNA AJ Styles Essential 4-Disc set for only £5.00 on eBay and it arrived today. 🙂 Thank you to the eBay seller who spelled Styles’ name wrong in the auction title so that nobody else found it to bid on, lol! 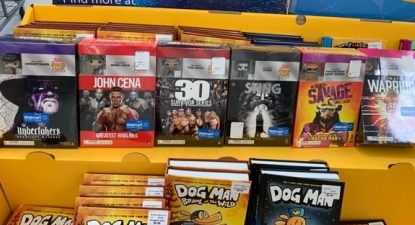 i ended up getting the Undertaker one and John Cena Sets not bad dvds i guess this is the walmart sale we are getting ??? The Undertaker one is a nice surprise. Hopefully they re-release more older stuff (as in 2012 or earlier). while I don’t mind that, the reason for the former seems like just another measure to cut costs. unfortunately it really seems like we are reaching the tail end of the dvd timeframe. I scrolled down to comment the exact same thing; whilst I prefer more matches as well, yeah, it’s clearly a way of not having to pay to film new material. That in itself shows a move away from physical media being as important to WWE as it used to be. So for all 6 Funko Pop sets it’s going to run you about $80.00. Yikes! That comes out to about $13.33 per DVD. How is that pricey? Well if buying all 6, yeah … how is $80 not reasonable? 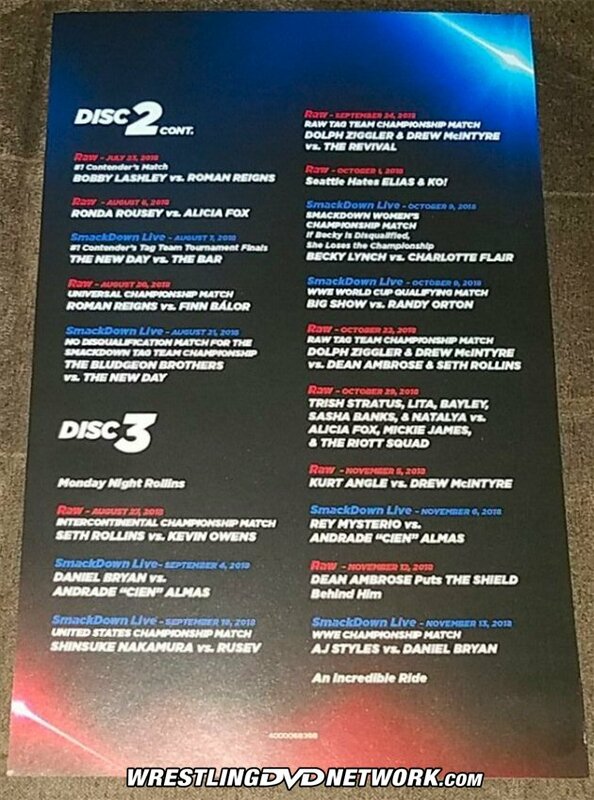 Why didn’t they add the gauntlet match from february where Seth Rollins went against Roman reigns and others? Because they already released that on the Shield: Justice For All DVD set. I’m all for no repeats! Yes, and plus: how much disc space would that one match have taken up? I mean really. 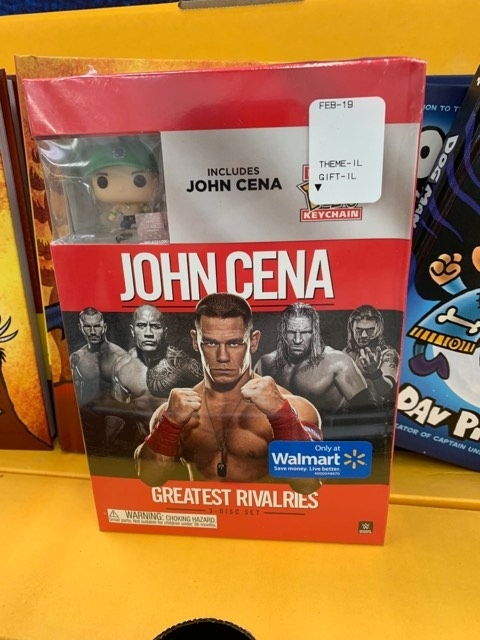 Anyone know the price on those Wal-Mart sets?